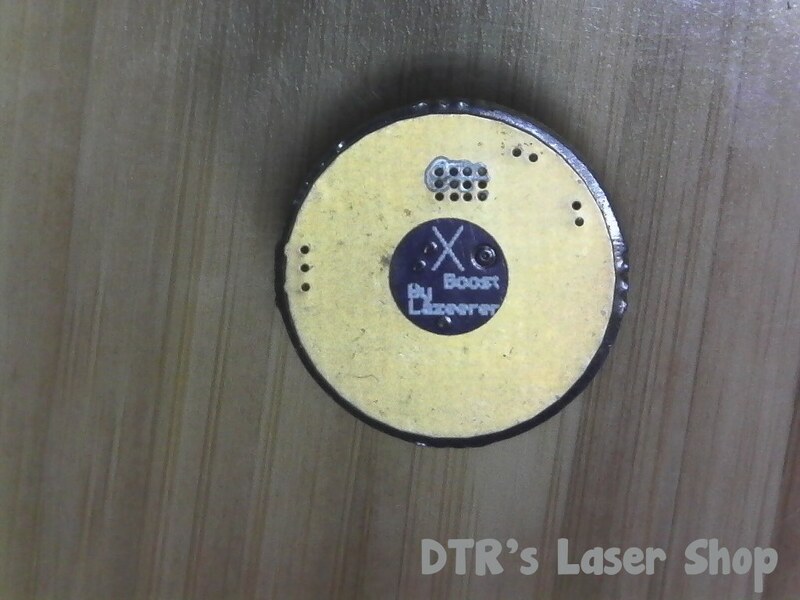 Like the title, I am looking to see if there's a potential seller for the adjustable current boost laser diode driver in the 16.8 millimeters round LED flashlight driver style packaging (center positive) for the 505nm laser diode I haven't mounted yet, and I am allowing DTR some time with the 20mm laser diode heatsink (will be built the same way with my blue laser, with the mint green Convoy S2+ LED flashlight host to match - I have to find a good anti-reflective glass so I can keep the dust out of the lenses). Guess I will have to try that - there's a bit problem though, I will have to drill the pill in the center so I can work with the diode leads as I will be gluing the top half of the laser diode heatsink atop the pill (to save on space). Still a neat idea, I will have to do that. * You drilled the center hole into the driver, so I guess you may have seen my blue laser build. Ouch. Gallium-Nitride laser diodes are crazy sensitive to static electricity compared to the red and IR Gallium-Arsenide diodes. I would wonder about Aluminum Nitride UV-C laser diodes as well. Nevertheless, I may look at the boost driver specs and grab the smallest one possible. I never cover a driver in tape or shrink tubing as you need the driver to release heat to its surroundings. 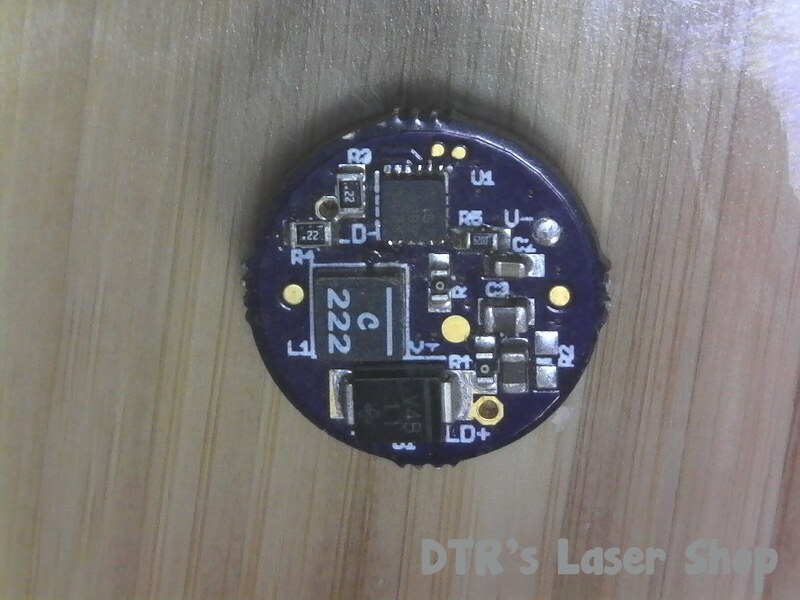 If there is room inside the pill, it is better to use thermal adhesive to sink it to the pill by the IC. I use Arctic Alumina thermal adhesive as it seems to work best over all that I have tried. We could epoxy it in with something like Arctic ALumina - but I don't really want to glue it on the offchance that some 17mm round drivers that are suitable become avaliable. I'd rather keep it a bit less permanently installed for that reason if that makes sense. I get that the driver shouldn't be thermally insulated otherwise there could be problems but I don't intend on driving it too hard. Will revisit it in the future. The tape was more thinking about short circuits given the tight space in the S2 pill. I usually use Arctic Alumina ceramic adhesives when I need to maintain a near-perfect thermal interface that's permanent. Ceramic adhesives tend to have pretty good thermal transmission performance. Nevertheless, I usually use Kapton tape when I can if I need to ensure it doesn't short. I suppose there are as many different ways of doing this as there are members here. I usually plan my laser build way ahead of time so by the time I get around to it, I have all the parts together and heat sinking the driver is just good practice. 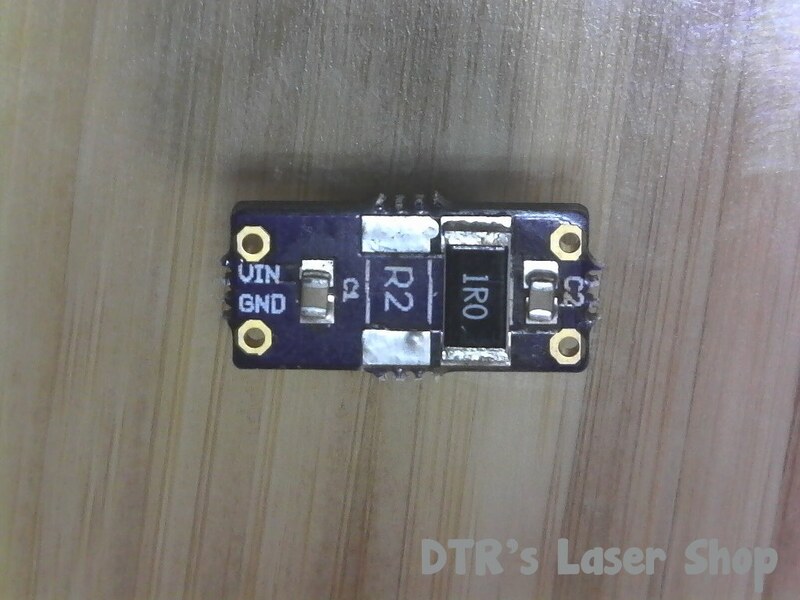 If I am building a low power laser, under 400 mW, I do often solder the driver directly to the diode's pins as it won't get too hot in just a few minutes. Even the 1.8 amp X-Drives can be used this way as long as you don't plan on an unlimited run time. But, if there is room I will permanently heat sink the driver, otherwise the X-Drives will shut down if they get too hot. I suppose there are as many different ways of doing this as there are members here. I usually plan my laser build way ahead of time so by the time I get around to it, I have all the parts together and heat sinking the driver is just good practice. Sure. We all had to start somewhere. I had experience with electronics all my adult life, so I did have that going for me when I started building direct diode builds. For awhile each new laser will be a learning experience for you, Nick. Eventually, if you stick with it, these builds will become second nature to you. Funny just saw this as I during my reorganizing I found a little bag with some units I had not seen in a long time. 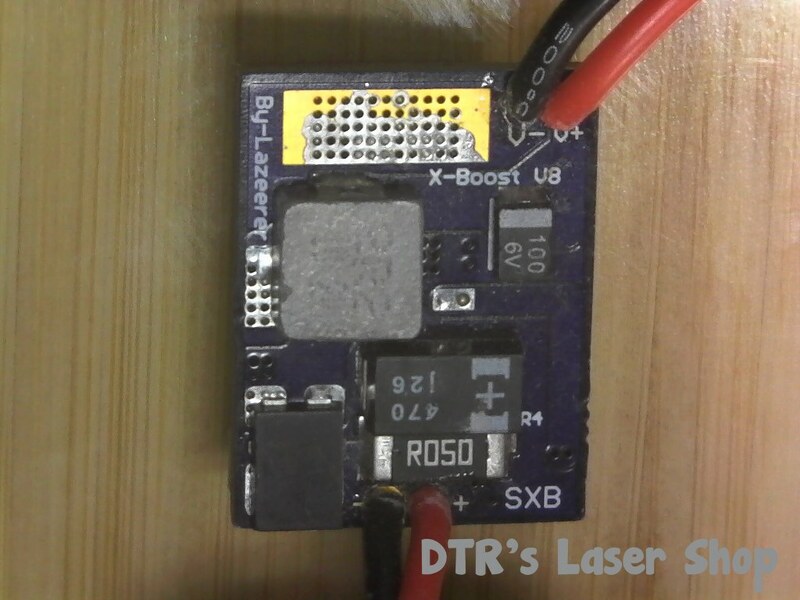 I think the first one is one of the early versions of the X-Boost but have to confirm. 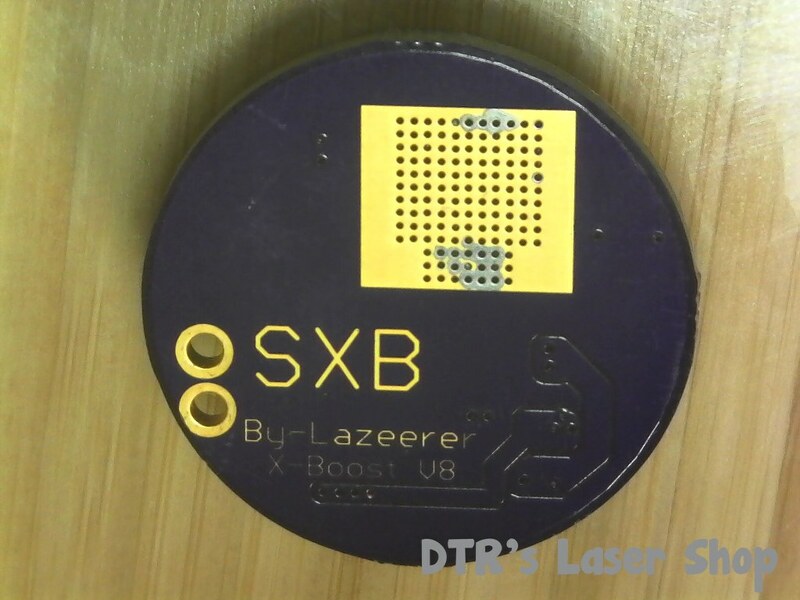 Found a round and rectangular SXB. I think the rectangular was one of the first he made sent to me for a testing thread which I never did but wired it up. And the old Mogasm linear. There is a blast from the past. They were fun to keep the heat under control in the resistors as well as the regulator to keep from having drift. Was just finishing taking some pics to for when I throw them up in my clearance section when I saw this. Rats. Should have waited a bit so I could order that driver along with the 20mm heatsink. At least I would be fine with waiting for a bit before I can buy the driver for the 505 nm diode. 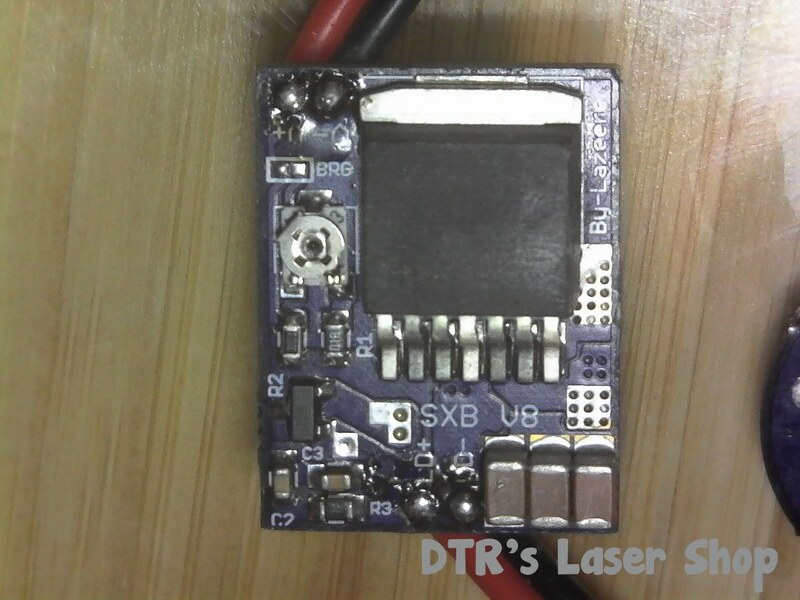 Any chance the 16.8mm round laser driver can handle 3.2 Volts Lithium Iron Phosphate and 3.8 Volts regular Lithium-ion battery? If you are talking about using two different Li chemistry batteries together, no that is a very bad idea. 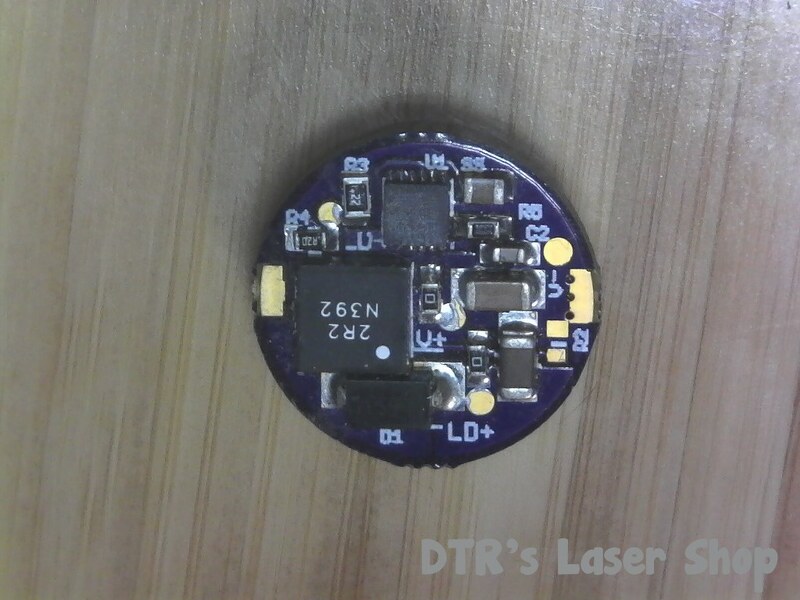 Where did you get the 505nm diode you are planning on using? Most, if not all, of the ones on eBay are case positive and you will have to use a case positive linear driver or isolate it from the rest of your build. 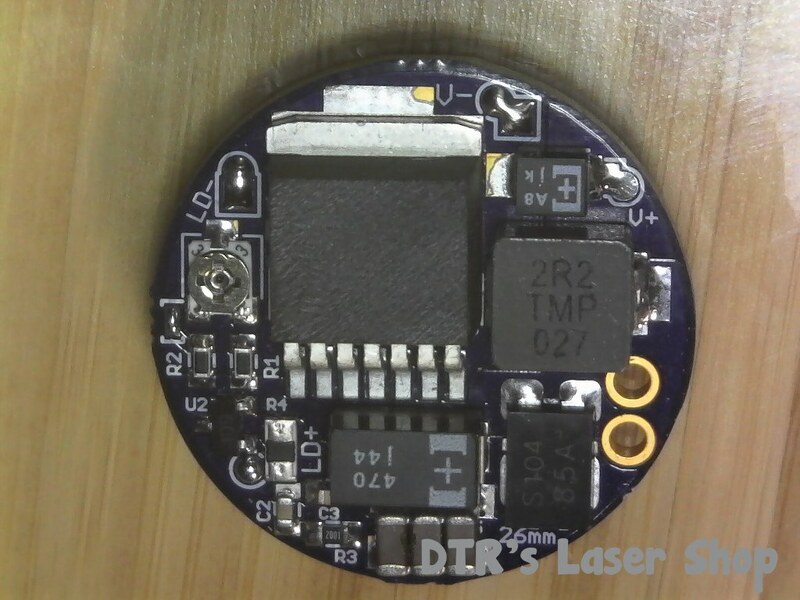 I plan on using one Lithium-ion battery at a time (after all, Convoy S2+ is a single-celled flashlight), so I am looking for boost driver to get up to 5 - 7 Volts required to light up the Gallium-Nitride laser diode, in this case Sharp 35mW 505 nm laser diode (perferably current adjustable so I can tune it to 5mW of output with the benefit of ensuring the diode last a while). Why two different Lithium-ion battery chemistry in a particular question? I have two such cells, and I wanted to be able to use one of what I have instead of being restricted to regular Lithium-ion cells. 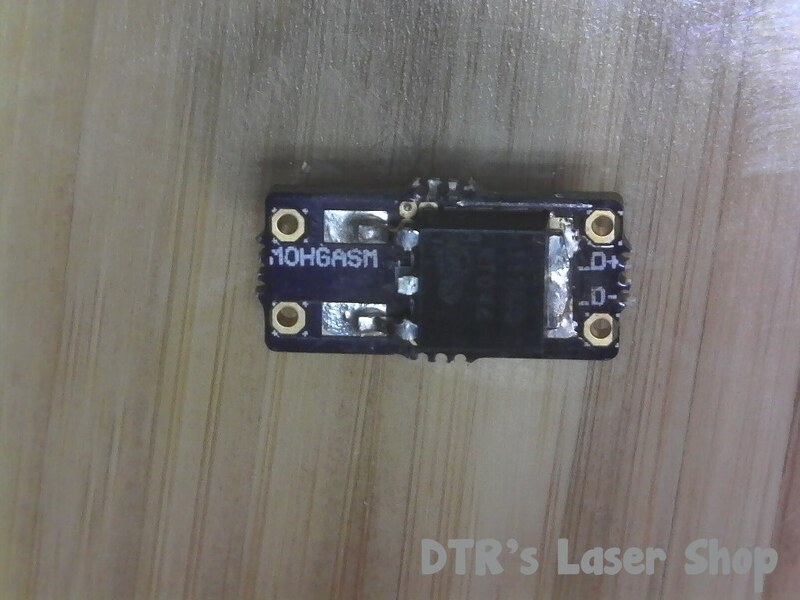 As for where I got the 505 nm laser diode, I bought it from DTR several months ago. Didn't get to mount it yet. It's probably 510nm but it's probably still Aqua green (but getting more and more like Emerald green). There were several iterations of that diode. Some were case neutral, but the rest are case positive. I have used the Blitz Linear driver from Survival Lasers to build modules for other members to use as it was the best choice at the time. If you have a case positive diode you will have to use that driver, or one like it, or isolate the diode from the rest of your build. I wasn't aware how many batteries that host took, so the way you phrased your question left me thinking you might be trying to use both at the same time.